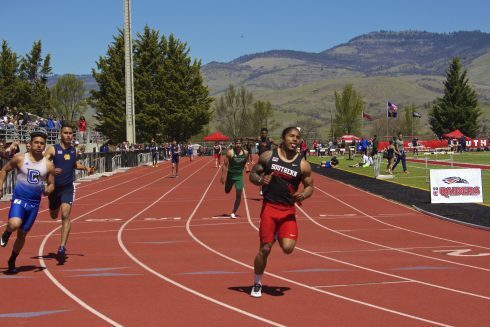 As the Southern Oregon University Men’s and Women’s Track and Field team head into their first day of the Cascade Conference Championship in Hermiston, Oregon. Catch up on the last couple meets that lead them to this point. Will Gross ran a personal best in the 400 meter dash with a time of 49.91 seconds at Pacific Twilight. He is ranked seventh in the Cascade Conference. On the distance side, Kevin VanDyke ran a personal best in the men’s steeplechase with a time of 9:44.84. VanDyke is ranked fourth in the Cascade Conference for the steeplechase. 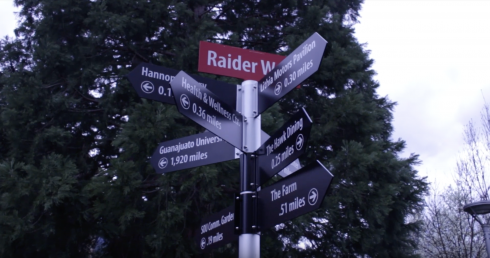 Later that weekend some of the Raiders took to Oregon State University to compete in their High Performance Meet. The women’s 4×400 meter relay team which included Arianna Daniel, Brooke Carson, Savannah Greenwade, and Loghan Sprauer qualified for the NAIA “A” standard improving their personal best from 3:55.33 to a 3:50.82 while creating a new school record. The women’s 4×400 meter relay is currently ranked sixth in the NAIA and first in the Cascade Conference. Daniel also ran a personal best in the 100 meter dash, with a time of 12.20. Daniel is currently ranked second in the Cascade Conference. On the field side, Lauren McGowne hit a personal best of 5 feet 3 inches 3/4 inches and is currently ranked first in the Cascade Conference for high jump. 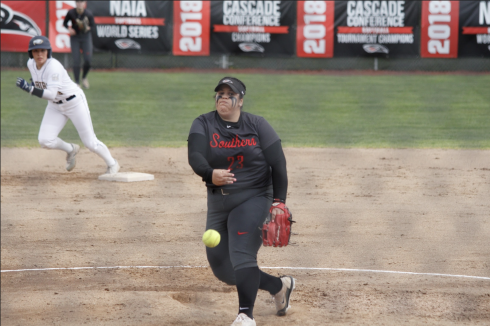 April 19-20th SOU hosted the Cascade Conference Multi-Event Track Meet followed by the Raider Invitational on Friday and Saturday which resulted in 12 SOU wins, leading them into the Cascade Conference Championships (CCC) and Nationals coming up. On Friday during the Multi-Event, Sophomore Loghan Sprauer competed for her first time and won first place in the heptathlon, scoring a total of 4391 points resulting in a gain of ten points for the women in the CCC. During her events she said, “I knew what I needed to do and I didn’t want to get into my head so I didn’t think about points. I just took it one step at a time.” With Conference and Nationals in mind she said she’s hungry for more and in a good position to drop time. 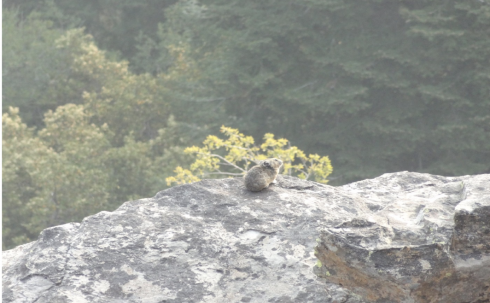 “I’m ready to breakthrough,” said Sprauer. On the runner side of the meet, sophomore Arianna Daniel gained two victories, one in the women’s 200-meter race finishing with a time of 24:72 seconds and the women’s 400-meter race with a time of 57:09. Savannah Greenwade followed in a close second in the 400-meter with a time of 57:91. 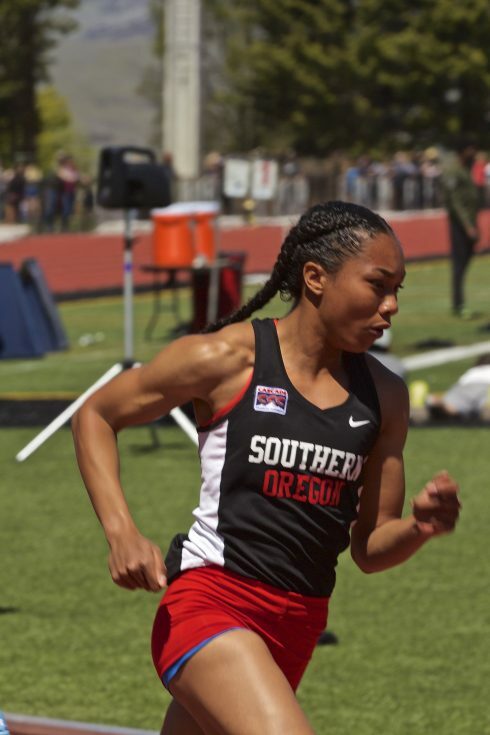 The two sprinters joined Margot Hamman and Lindsey Bonney in the women’s 4×100 relay and won first place with a time of 47.40; the second fastest time in SOU history. The Raiders will be competing in the Cascade Conference Championship Friday through Saturday.